← Raw! Raw! Raw! That’s The Spirit! Right? The new Federal education standards known as Common Core, are stirring up a big argument around the nation. The standards have been in existence for a while and are now becoming an issue because they are just recently being put into effect across the country. If you are not aware of what this is; Common core refers to a set of standards that are intended to provide clear goals for what students are expected to learn, and include a series of benchmarks in English and Math that all students will have to meet by the next school year. The standards apply to students from kindergarten through 12th. Before these standards were set, states came up with education benchmarks that were unique to each and every state. Common Core tries to make sure all students, nationally, are on the same level, and was created by Governors from across the nation as well as education commissioners. 45 states have adopted the Common Core standards. In 2014, there will be testing to correspond with the Common Core standards, after they take full effect. So how wonderful is this wonder drug? There is no empirical evidence at the moment to make any judgment since no one has taken it yet. But common sense can help. It is important to remember that although they are referred to as Federal or National education standards, the Federal Government did not create them. They are referred to as this only because the majority of states have chosen to adopt them, and they are aimed at being a national set of standards. Like so many education reform initiatives that seem to arise out of nowhere, the Common Core State Standards is another of these sweeping phantom movements that have gotten their impetus from a cadre of invisible human beings endowed with inordinate power to impose their ideas on everybody. For example, the idea of collecting intimate personal data on public school students and teachers seems to have arisen spontaneously in the bowels of the National Center for Education Statistics in Washington. It required a small army of education psychologists to put together the data handbooks, which are periodically expanded to include more personal information. Nobody knows who exactly authorized the creation of such a dossier on every student and teacher in American public schools, but the program exists and is being paid for by the taxpayer. Already hailed as the “next big thing” in education reform, the Common Core State Standards are being rushed into classrooms in nearly every district in the country. Although these “world-class” standards raise substantive questions about curriculum choices and instructional practices, such educational concerns are likely to prove less significant than the role the Common Core is playing in the larger landscape of our polarized education reform politics. The curriculum replaces the classics with government propaganda. According to the American Principles Project, “They de-emphasize the study of classic literature in favor of reading so-called ‘informational texts,’ such as government documents, court opinions, and technical manuals.” Over half the reading materials in grades 6-12 are to consist of informational texts rather than classical literature. Historical texts like the Gettysburg Address are to be presented to students without context or explanation. The Common Core, however dressed, shares the fundamental spirit with NCLB: standardization of curriculum enforced with high-stakes testing. In fact, the Common Core comes with more force on a larger scale. The side effects will be even more significant. “If you had a stomach ache, if you were nervous, if you were lethargic, if you needed energy, if you had tuberculosis, if you had asthma, all sorts of things. It was going to cure what you had.” That was historian Dr. Howard Markel talking about cocaine, a wonder drug praised by the medical researchers, doctors, and great minds in the 1880s, including the likes of Thomas Edison, Queen Victoria and Pope Leo XIII. “I take very small doses of it regularly against depression and against indigestion and with the most brilliant of success,” wrote Sigmund Freud. Today, we know that cocaine is indeed potent, in fact, so potent that there is an ongoing expensive battle against it. And Bush’s NCLB? Every state is trying to get out of it, some even willing to trade it with a worse set of demands from Arne Duncan. All medicine has side effects. When it cures, it can harm the body as well. Put it in another way, there is no free lunch. Everything comes at a cost. Education cannot escape this simple common sense law of nature for a number of reasons. First, time is a constant. When one spends it on one thing, it cannot be spent on others. Thus when all time is spent on studying and preparing for exams, it cannot be spent on visiting museums. By the same token, when time is spent on activities not necessarily related to academic subjects, less time is available for studying the school subjects and preparing for exams. Second, certain human qualities may be antithetical to each other. When one is taught to conform, it will be difficult for him to be creative. When one is punished for making mistakes, it will be hard for her to take risks. When one is told to be wrong or inadequate all the time, it will be difficult for her to maintain confidence. In contrast, when the students are allowed freedom to explore, they may question what they are asked to learn, and may decide not to comply. Finally, resources are a finite as well. When a school or society devotes all resources to certain things, they don’t have them for others. For example, when all resources are devoted to teaching math and language, schools will have to cut out other programs. When more money is spent on testing students, less will be available for actually helping them grow. The Common Core has not been tested. If anything, standards and testing in the U.S. have not amounted much in curing the ills of inequality and inefficiency. When I first read about the Common Core State Standards, I cheered. I believe that our schools should teach all students (except for those who have severe learning disabilities), the skills, habits and knowledge that they need to be successful in post-secondary education. That doesn’t mean that every teenager must be prepared to enter Harvard, but it does mean that every young adult, with few exceptions, should at least be prepared to enter their local community college. That is how we give students a real choice. I confess that I was naïve. I should have known in an age in which standardized tests direct teaching and learning, that the standards themselves would quickly become operationalized by tests. Testing, coupled with the evaluation of teachers by scores, is driving its implementation. 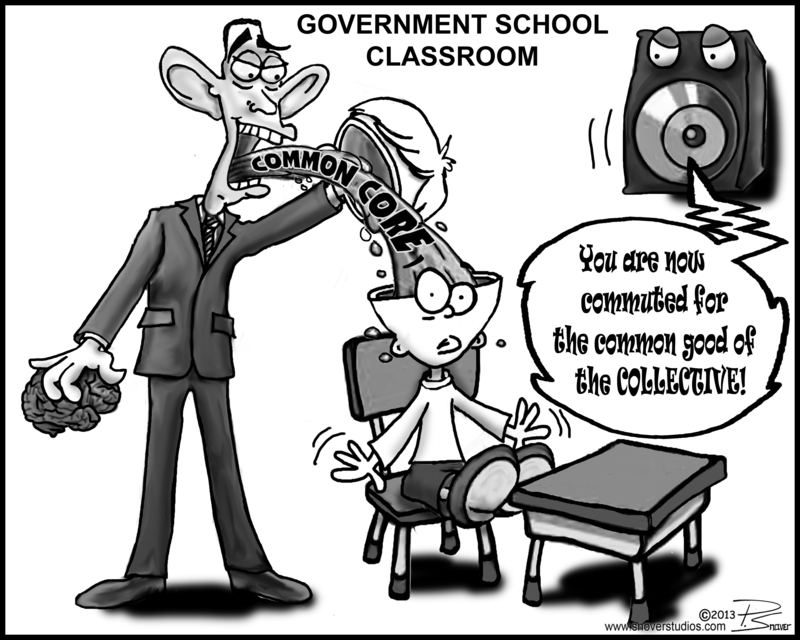 The promise of the Common Core is dying and teaching and learning are being distorted. The well that should sustain the Core has been poisoned. Written mostly by academics and assessment experts—many with ties to testing companies—the Common Core standards have never been fully implemented and tested in real schools anywhere. Of the 135 members on the official Common Core review panels convened by Achieve Inc., the consulting firm that has directed the Common Core project for the NGA, few were classroom teachers or current administrators. Parents were entirely missing. K–12 educators were mostly brought in after the fact to tweak and endorse the standards—and lend legitimacy to the results. The standards are tied to assessments that are still in development and that must be given on computers many schools don’t have. So far, there is no research or experience to justify the extravagant claims being made for the ability of these standards to ensure that every child will graduate from high school “college and career ready.” By all accounts, the new Common Core tests will be considerably harder than current state assessments, leading to sharp drops in scores and proficiency rates. We have seen this show before. The entire country just finished a decade-long experiment in standards-based, test-driven school reform called No Child Left Behind. The tests showed that millions of students were not meeting existing standards. Yet the conclusion drawn by sponsors of the Common Core was that the solution was “more challenging” ones. This conclusion is simply wrong. Don’t judge teachers by their students’ scores. Test scores are a poor measure of a child’s quality and an even worse measure of the quality of teaching. Moreover students’ performance on tests is the result of many factors, many of which are beyond the control the teacher. Thus it is not only unfair to judge a teacher based on test scores, but also ineffective—research has shown that test-based incentive programs do not lead to improvement of student achievement. In just a few generations, society went from agrarian and distributed to corporatized and centralized. Part of the rationale used to sell this major transformation to industrialists was the idea that educated kids would actually become more compliant and productive workers. Our current system of teaching kids to sit in straight rows and obey instructions isn’t a coincidence—it was an investment in our economic future. The plan: trade short-term child-labor wages for longer-term productivity by giving kids a head start in doing what they’re told. Of course, it worked. Several generations of productive, fully employed workers followed. Do you see the disconnect? Every year, we churn out millions of workers who are trained to do 1925-style labor. The bargain (take kids out of work so we can teach them to become better factory workers as adults) has set us on a race to the bottom. We spend a fortune teaching trigonometry to kids who don’t understand it, won’t use it, and will spend no more of their lives studying math. We invest thousands of hours exposing millions of students to fiction and literature, but end up training most of them to never again read for fun (one study found that 58 percent of all Americans never read for pleasure after they graduate from school). The common school (now called a public school) was a brand new concept, created shortly after the Civil War. “Common” because it was for everyone: for the kids of the farmer, the kids of the potter, and the kids of the local shopkeeper. Horace Mann is generally regarded as the father of the institution, but he didn’t have to fight nearly as hard as you would imagine—because industrialists were on his side. The SAT, the single most important filtering device used to measure the effect of school on each individual, is a (almost without change) lower- order-thinking test. The reason is simple. Not because it works. No, we do it because it’s the easy and efficient way to keep the mass production of students moving forward. And the flip side of this fear and conformity must be that passion will be destroyed. There’s no room for someone who wants to go faster, or someone who wants to do something else, or someone who cares about a particular issue. Move on. Write it in your notes; there will be a test later. A multiple-choice test. Do we need more fear? Less passion? Traditionally, society assumed that artists, singers, artisans, writers, scientists, and alchemists would find their calling, then find a mentor, and then learn their craft. It was absurd to think that you’d take people off the street and teach them to do science or to sing, and persist at that teaching long enough for them to get excited about it. And just as important, it’s vital we acknowledge that we can unteach bravery and creativity and initiative. And we have been doing just that. School has become an industrialized system, working on a huge scale that has significant byproducts, including the destruction of many of the attitudes and emotions we’d like to build our culture around. At the very same time, the Internet has forever transformed the acquisition of knowledge. Often overlooked in the rush to waste time at Facebook and YouTube is the fact that the Internet is the most efficient and powerful information delivery system ever developed. No, we do not need you to cause memorization. Unfortunately there’s been too little honest conversation and too little democracy in the development of the Common Core. We see consultants and corporate entrepreneurs where there should be parents and teachers, and more high-stakes testing where there should be none. Until that changes, it will be hard to distinguish the “next big thing” from the last one. Whatever positive role standards might play in truly collaborative conversations about what our schools should teach and children should learn has been repeatedly undermined by bad process, suspect political agendas, and commercial interests. about the power of choice and free speech—could the school as we know it survive? The simple way to make something different is to go about it in a whole new way. In other words, doing what we’re doing now and hoping we’ll get some- thing else as an outcome is nuts. What’s the point of testing someone’s ability to cram for a test if we’re never going to have to cram for anything ever again? If I can find the answer in three seconds online, the skill of memorizing a fact for twelve hours (and then forget- ting it) is not only useless, it’s insane. In a crowded market, it’s no surprise that people will choose someone who appears to offer more in return for our time and money. So admissions officers look for the talented, as do the people who do the hiring for corporations. Spotting the elite, the charismatic, and the obviously gifted might be a smart short-term strategy, but it punishes the rest of us, and society as a whole. The opportunity for widespread education and skills improvement is far bigger than it has ever been before. When we can deliver lectures and lessons digitally, at scale, for virtually free, the only thing holding us back is the status quo (and our belief in the permanence of status). In an open-book/open-note environment, the ability to synthesize complex ideas and to invent new concepts is far more useful than drill and practice. It might be harder (at first) to write tests, and it might be harder to grade them, but the goal of school isn’t to make the educational-industrial complex easy to run; it’s to create a better generation of workers and citizens. The best tactic available to every taxpayer and parent and concerned teacher is to relentlessly ask questions, not settling for the status quo. Parents were raised to have a dream for their kids—we want our kids to be happy, adjusted, and successful. We want them to live meaningful lives, to contribute and to find stability as they avoid pain. School is at its best when it gives students the expectation that they will not only dream big, but dream dreams that they can work on every day until they accomplish them—not because they were chosen by a black-box process, but because they worked hard enough to reach them. This entry was posted in Culture, Economics and tagged Common Core, Common Core State Standards Initiative, Council of Chief State School Officers, education, George W. Bush, Howard Markel, Khan Academy, National Center for Education Statistics, National Governors Association, No Child Left Behind Act, Obama, seth godin, Standardized tests, Ted Talks, United States. Bookmark the permalink.